This film is an optically printed and transformed work derived from an 18 second sequence of images shot from the T.V. depicting pilot whales beaching themselves, and humans pushing them back into sea. The score is a combination of electronically manipulated sounds: voice, frequency, guitar, and ambient sounds of the ocean. 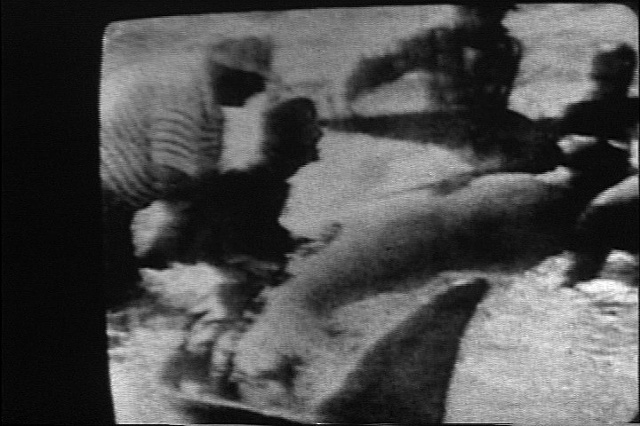 The film attempts to create an aural and visual experience akin to the whales experience of self-destruction.